Candy Canes are perfect for Christmas functions. Mandy Martin canes are made in China. 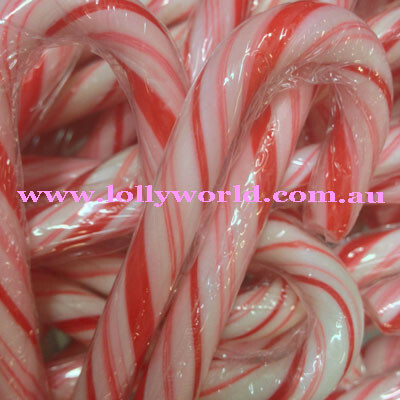 A traditional Christmas Candy Cane with red and white stripes with also peppermint flavouring. They are individually wrapped and also approx. 13.5cm long. The hook is approx 3.5 cm wide.